Spoiler alert: it doesn't take long. Ask any scientist about physics, and you’ll likely get a very interesting summary of acceleration, mass, and probably a few other variables that only other scientists would understand. You’ll also be told that nothing can violate the laws of physics, not even a massive Mercedes-Benz SUV endowed with a 577-horsepower (430-kilowatt) twin-turbocharged V8. But it can come damn close. If you watch the video featured above from Automann-TV on YouTube, you’ll see what we mean. The burly AMG-powered Merc was recently let loose on a stretch of German Autobahn for some acceleration runs, but unlike previous G63 vids we’ve seen, the driver in this clip keeps his foot planted until the SUV hits its top speed – and beyond. 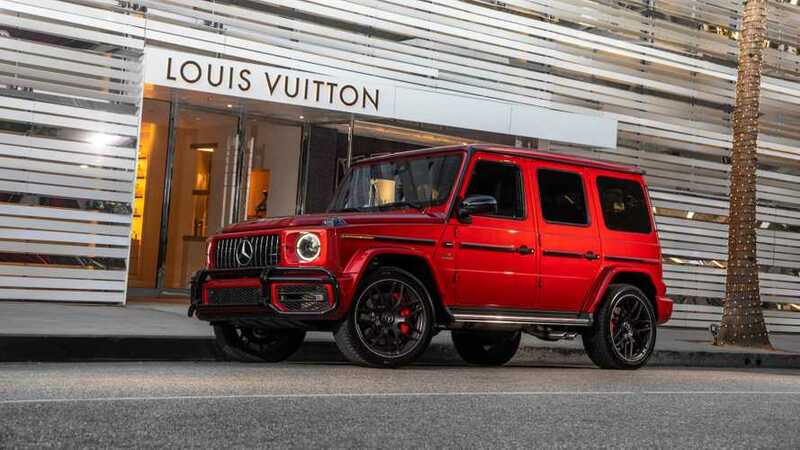 Mercedes tells us the G63 tops out at 149 mph (240 km/h) when equipped with the driver’s package, but this one creeps past that number to touch 152 mph (245 km/h). The only time you’ll see a brick going faster is in a tornado. Actually, it’s rather fascinating to see the G63’s aerodynamic profile come into play at higher speeds. 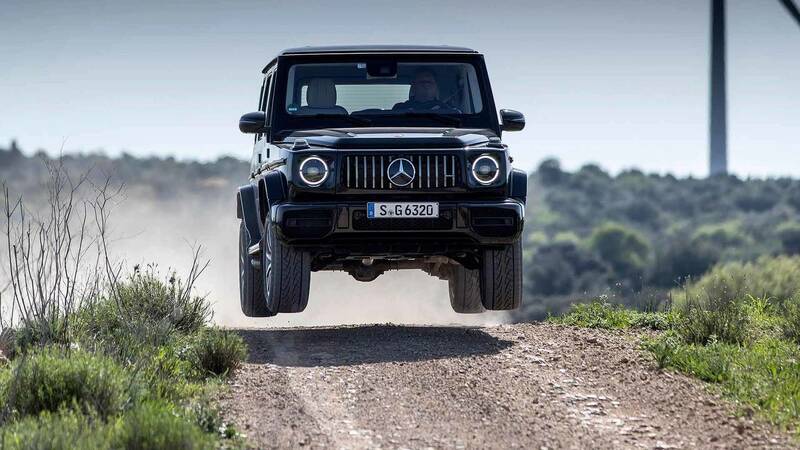 From a dig the throaty V8 has no problem shoving the G-Class forward, with the on-board systems clicking of 0-100 km/h (0-62 mph) in 4.3 seconds, which is just about spot-on from what Mercedes tells us. The speed continues to climb rapidly, with the SUV hitting the 200 km/h (124 mph) mark in 16.6 seconds. From there, however, the speedometer sweep drastically slows down as air resistance increases, until finally bumping against the speed limiter. It makes us wonder though, just how much faster the G63 could go without computer intervention. It might be neat to find out, but the G63’s first, best destiny is clawing at pavement at lower velocities. To that end, the video also gives us a timed run from 100 - 200 km/h that takes just 12.3 seconds. Sure, there are other supercars out there that can cover the spread faster, but absolutely none of them can do it with the badassery that is the G-Class.